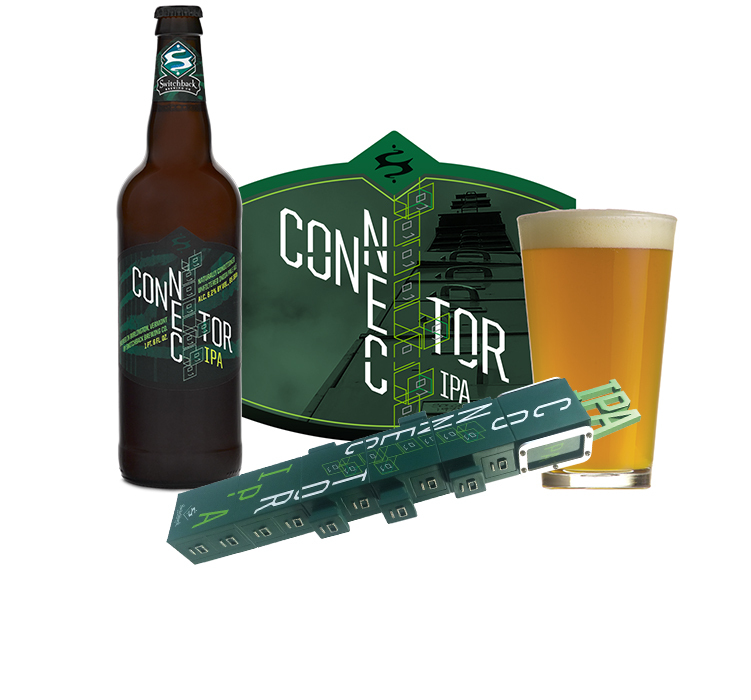 Connector IPA is Switchback’s first and long awaited IPA! Light in color and body, the beer is designed to showcase the hops delicious medley of citrus, tropical fruit, and pine characteristics. Following a huge late addition of Citra hops at the end of the brewing process, we dry hopped this beer with a massive amount of Mosaic and Centennial hops. The result is a lively, refreshingly hoppy IPA that finishes dry with a quick hit of bitterness that fades quickly and invites you back for another sip. Our Connector IPA is named after “The Southern Connector” road that has been debated for over 52 years and would connect the south end of Burlington to Route 7. The world’s tallest filing cabinet created by local artist, Bren Alvarez is located a few hundred yards away from the brewery on Flynn Ave and was constructed to represent the bureaucracy of the project. Named one of the best IPAs In America As Published by Draft Magazine, June 2017!